Rey de Tonga last gig of the year! 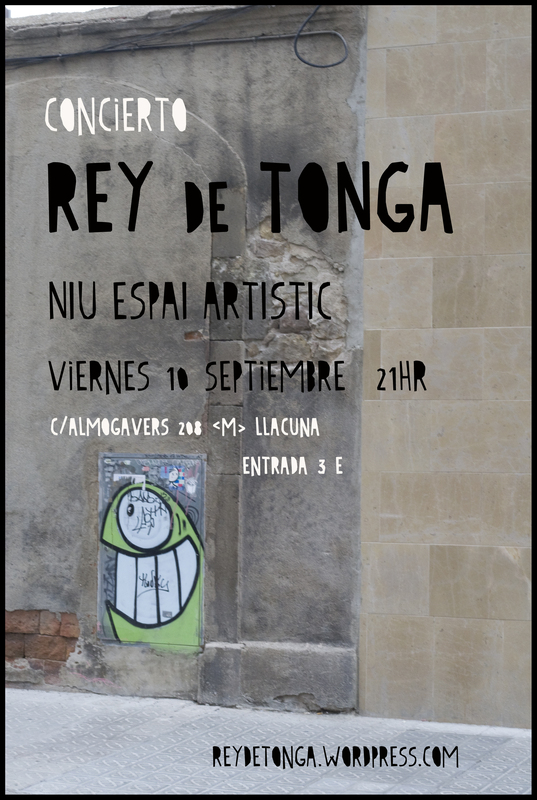 This Friday the 24th of September will be the last Rey de Tonga gig of the year, at La Cova de les Cultures. The show will start at 21.00 with a dj session, followed by the gig, and then more dj goodness. It promises to be an excellent night; come come come? Yes, come! Click here for a map of how to get there!